Researchers are developing tools to substantially reduce the operations and maintenance costs of wind farms. The novel tools will be tested on three European wind farms in 2020. The EU has set an ambitious goal to become a world leader in renewable energy. Given that this is a relatively young industry, renewable sources aren't exploited as efficiently as they could be in the future, given time and experience. However, there is progress in the sector. For example, offshore wind energy is becoming more and more competitive and is gaining importance as a part of the power system. One of the main obstacles in the use of offshore wind energy is the high cost involved in operations and maintenance (O&M). O&M costs make up a big share of the total cost of a wind turbine, often totalling around 30 % of its total life-cycle cost. To boost wind energy in Europe, offshore wind farms need to become more efficient, a problem that the EU-funded project ROMEO is tackling head-on. ROMEO is developing useful tools that will allow wind farm operators to improve their decision-making processes and shift from corrective, calendar-based to less costly condition-based maintenance strategies. Its advanced monitoring systems will be able to detect key failures in major components of wind turbines. Models are also being developed to diagnose and predict failures in existing turbines, thus minimising downtime. An interoperable cloud-based and Internet of things platform will be providing an advanced analytics system for such diagnosis and prognosis models to better understand how turbine components behave in real time. Operators will therefore be able to maximise the turbines' lifespan and minimise O&M costs. The newly developed technology will be tested on three European offshore wind farms next year. The pilot phase test site located in the German waters of the Baltic Sea has a power capacity of 350 MW generated by 70 turbines. 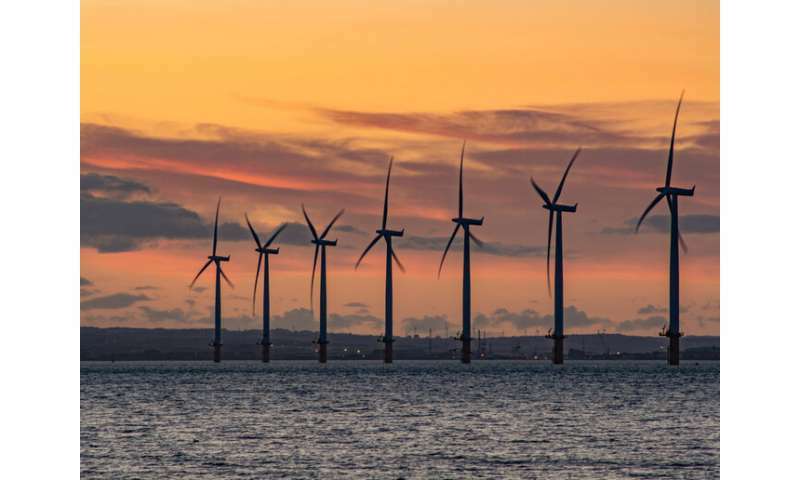 The two UK-based facilities are a 27-turbine 62-MW-capacity farm off the North Yorkshire coast and a 108-turbine 714-MW farm off the east coast of East Anglia, both in the North Sea. "The models and tools that we are developing will be tested … from mid-2020" reported Cesar Yanes of project coordinator Iberdrola Renovables Energía in a news item published in the 'Offshore Wind Journal'. "The pilot projects will show us how successful we have been and will enable us to test technology that will monitor turbine components such as the gearbox main bearing and transformer and the substructure of a turbine." Yanes added that by testing their system on different wind farms with dissimilar turbines and environmental conditions, they will be able to prove that their technology can be transferred to other offshore and onshore projects. This, he explained, "will be required if our overall goal of reducing the cost of wind energy is to be met. Our aim is to reduce the incidence of component failure and unplanned maintenance while increasing reliability." ROMEO (Reliable OM decision tools and strategies for high LCoE reduction on Offshore wind) is harnessing the wide-ranging expertise of its 12 project partners, including turbine component manufacturers, service providers, wind farm operators and IT market leaders. The pilot phase of ROMEO is expected to last until the end of the project in 2022.